Teeth whitening has been more popular within the last several years. Our team will exceed your expectations. You can finally get a bright smile you’ve always wanted. Whitening involves treatment with a gel. It is placed directly on the teeth and removed after several minutes. We sometimes repeat this procedure in the same appointment, depending on the degree of staining and desired level of whiteness. Most patients are finished between 30 to 90 minutes. We also can make custom-fit whitening trays for you to use at home. 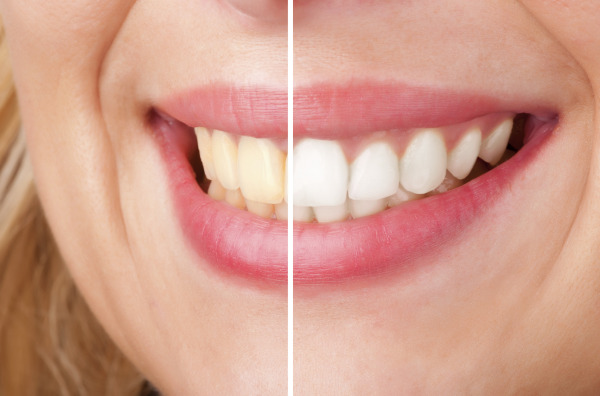 If you decide to whiten your teeth at home, we will give you instructions and necessary materials. It might be good to change some of the habits in order for whitening to work in a long run. You should avoid drinking or eating things like coffee or tea that can stain, and you should not smoke. The most common active ingredients in most teeth whitening gels are carbamide peroxide, which breaks down into hydrogen peroxide during treatment, or hydrogen peroxide itself. The peroxide penetrates the tooth enamel, and oxygen molecules from the peroxide react with the molecules of the stains on your teeth, breaking them apart and dissolving them. Learn more about whitening teeth. Getting Whiter Teeth Is Easy! Get your white and bright smile today at Winter Haven Dental today. Schedule your FREE consultation. Call our office at (863) 299-1579 to schedule your consultation appointment. Let us brighten your smile, and your life, today!